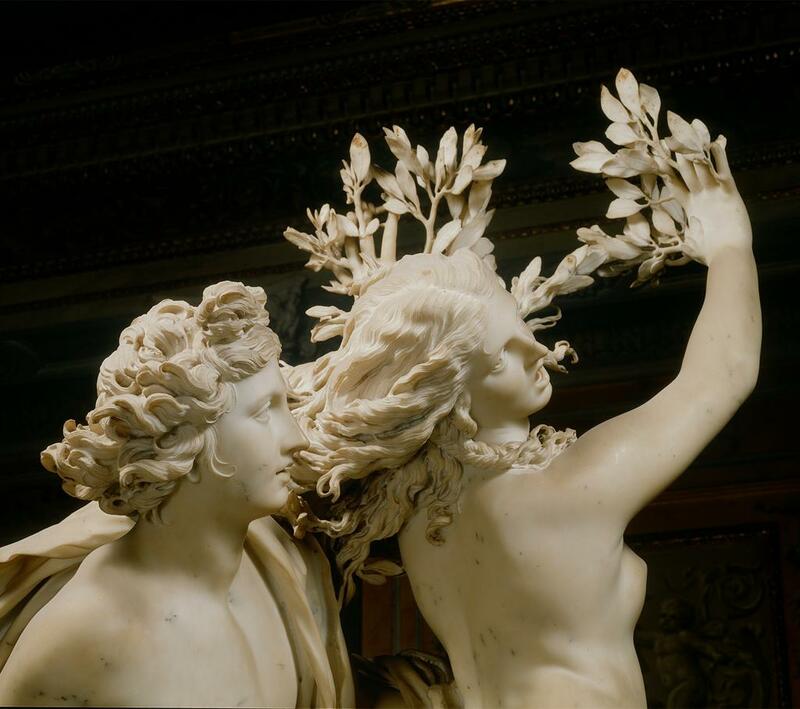 Apollo and Daphne is a life-sized baroque sculpture by renowned sculptor Gian Lorenzo Bernini. An extraordinary masterwork, the sculpture depicts the mythical story of unrequited love and can be found in Galleria Borghese in Rome. The Galleria Borghese is also home to Bernini’s David, paintings by Caravaggio and many other masterpieces. It is no surprise the Galleria is one of the most popular museums in Rome. Enjoy the myth of Apollo and Daphne as well as our tips for getting Galleria Borghese tickets in advance of your trip to Rome. The offended Eros took two arrows, one of lead and one of gold. With the leaden shaft, to instigate hatred, he shot the nymph Daphne. With the golden one, to promote love, he shot Apollo through the heart. Apollo was seized with affection for the beutiful Daphne, and thanks to the lead arrow, she despised him. Actually, she spurned her numerous potential beaus, inclining toward investigating the forested areas. Her father, Peneus, requested that she marry so that she may provide for him grandchildren and she pleaded with her father to allow her to stay unmarried. 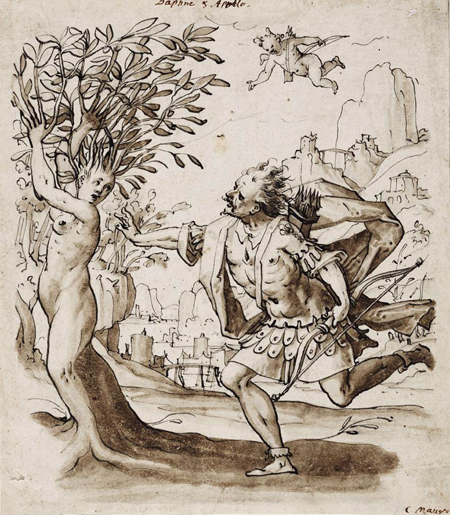 Peneus answered her frightened plea and cast upon her a charm of extraordinary force: her skin transformed into bark, her hair turned into leaves, and her arms were changed into branches that shrank from from Apollo’s grasp. She quit running as her feet became rooted to the earth. Since Apollo could no more take her as his wife, he promised to tend her as his tree, to drive away all beasts and animals of the earth that attempted to do her damage. He guaranteed that her leaves would decorate the heads of leaders as crowns, and that her leaves would be portrayed on weapons. Apollo used his powers of eternal youth to render her ever green. From that point forward, the leaves of the bay laurel tree have never known rot. This is my favorite sculpture! And the story is a classic!